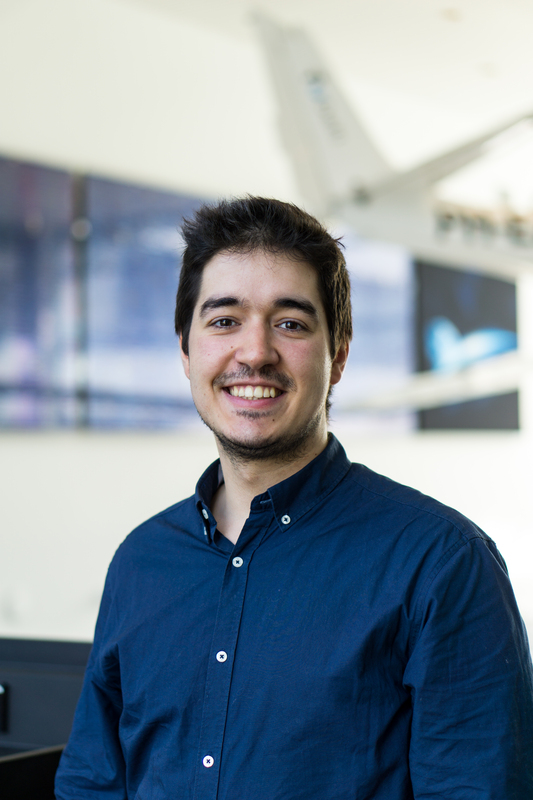 Roberto Merino Martinez (born in Burgos, Spain, 11 May 1991) studied Aerospace Engineering in Madrid Polytechnic University (UPM) and performed his MSc thesis at the Royal Institute of Technology in Stockholm. He is now working as a PhD researcher at the Aircraft Noise and Climate Effects (ANCE) section at the Aerospace Engineering faculty at Delft University of Technology, in the Netherlands. His research deals mostly with the noise emissions from commercial aircraft. His work mostly consists of developing microphone arrays for localizing the main noise sources on flying aircraft under operational conditions and applying noise reduction measures to reduce the annoyance experienced by the population living close to airports. His results also showed a remarkable variability for aircraft noise emissions within the same aircraft type, which led to some recommendations, such as lowering the aircraft velocity and the fan rotational speed to achieve important noise reductions, while still fulfilling operational and safety requirements.